The R.A.B. 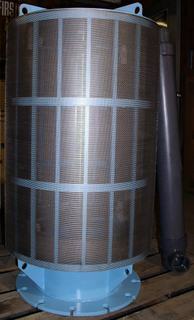 units are designed to automatically clean your perforated filter screen saving you time and money! As the amount of debris changes in the water source, the R.A.B. automatically adjusts and initiates a cleaning cycle only when needed. Available in sizes 3″ to 10″L for the B.I.G., as well as for some of our T.I.G. and G.N.G. series filters. The B.I.G. 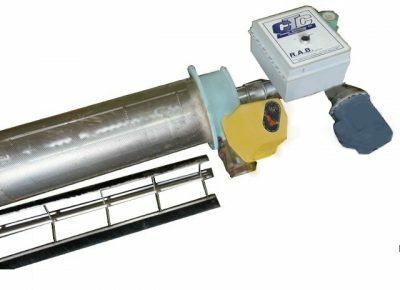 – Blue In-Line Gasketed Filters utilize a concentric stainless-steel filtering element inside while the exterior is a heavy steel body construction sand blasted with a double epoxy coating. The B.I.F. cleans the screen element thoroughly without disassembly. We utilize stainless-steel screens, brushes and handles for longer life. 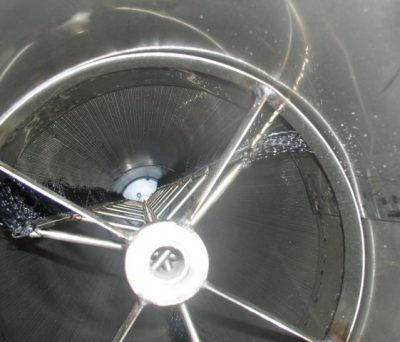 S.C.S.2 Our Self Cleaning Suction Screen (S.C.S.2) units are engineered to last! The cage is of heavy steel construction with reinforcement bars which hinder collapse, picking eyes are added for easy installation and removal, then it’s sandblasted and double epoxy-coated to ensure a long life. The stainless steel screen is available in many sizes.